Built FOR Agents BY Agents! 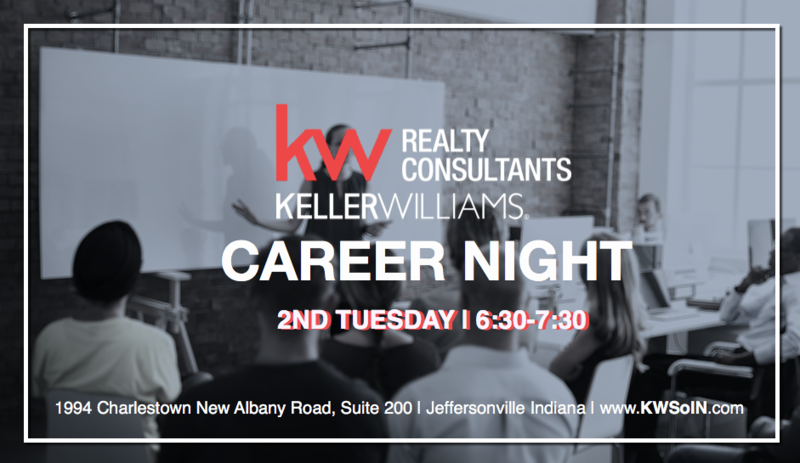 Our Career Night is a great way to learn more about what the life of a Real Estate agent looks like! As one of the top producing offices in the Southern Indiana area, our team knows what it takes for you to be successful in real estate! This event is for everyone who is wondering what it means to be in Real Estate and to find out whether it is a fit for them. Who we are; what we’re about and WHERE we’re going! Interesting fact… NAR has added 12,434 agents year to date. KW makes up 6,215. 50% of agents joining the business…joined Keller Williams. Are you looking for a career change or a way to supplement your existing income? Mark your calendar for FEBRUARY 12TH and I will show you how to partner with the #1 Training Company in the real estate industry!! Enter your info in the Get In Touch form on the right to reserve your seat!! AND Visit us online at www.KWSoIN.com for more information!! About Keller Williams: We are the #1 Largest Real Estate Company in North America with over 180,000 Associates! We hold the #1 spot in Real Trends 500 report for both transaction sides and units. All of your questions regarding real estate!